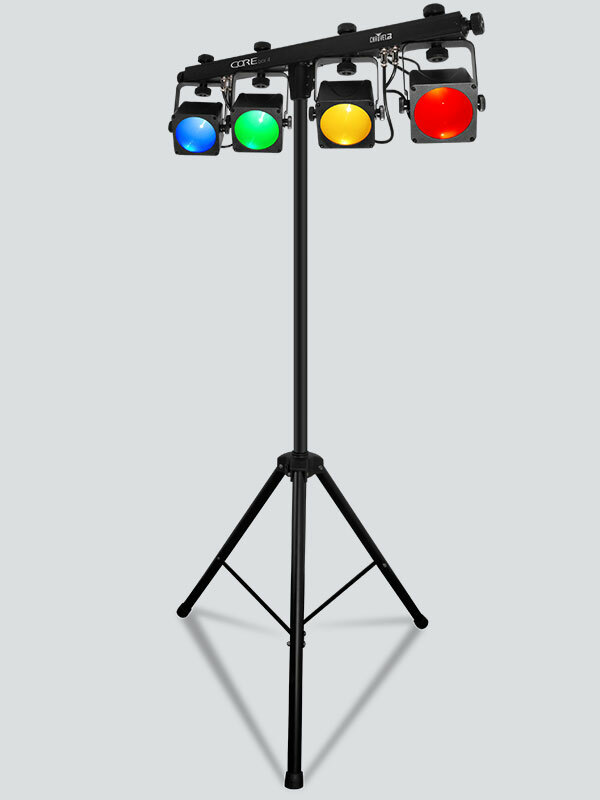 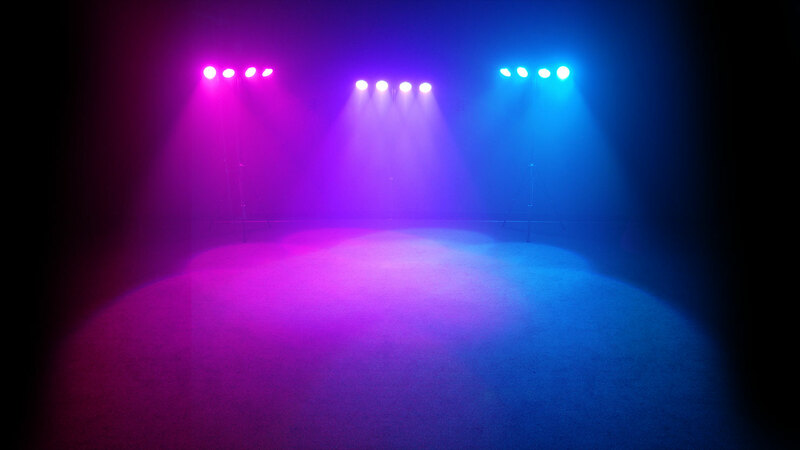 COREbar 4 is a complete, all-in-one wash lighting solution designed for mobile entertainers. 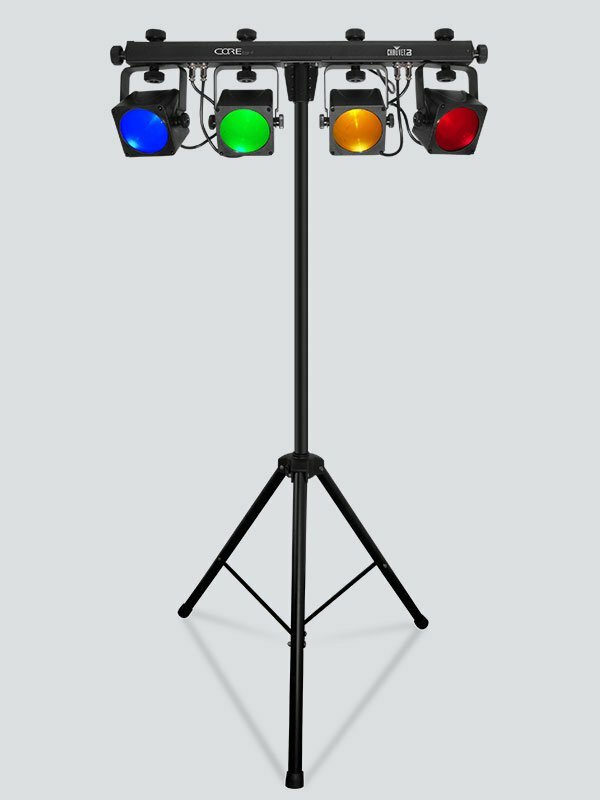 It produces a full spectrum of light with unsurpassed color mixing using chip-on-Board (COB) technology. 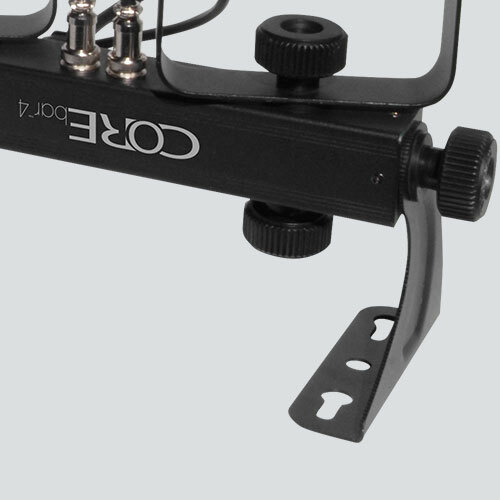 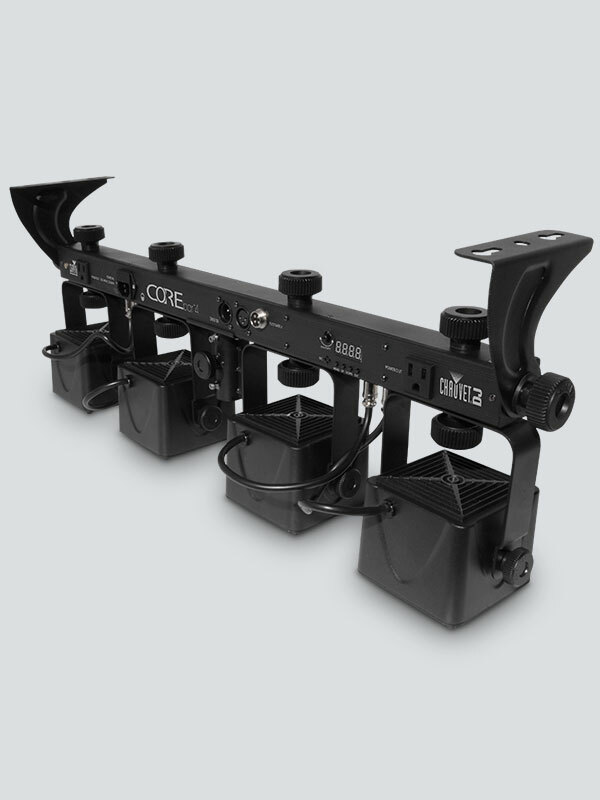 Achieve total room or stage coverage with four individually adjustable heads and easily set up and tear down in minutes using the included tripod, footswitch and carry bags. 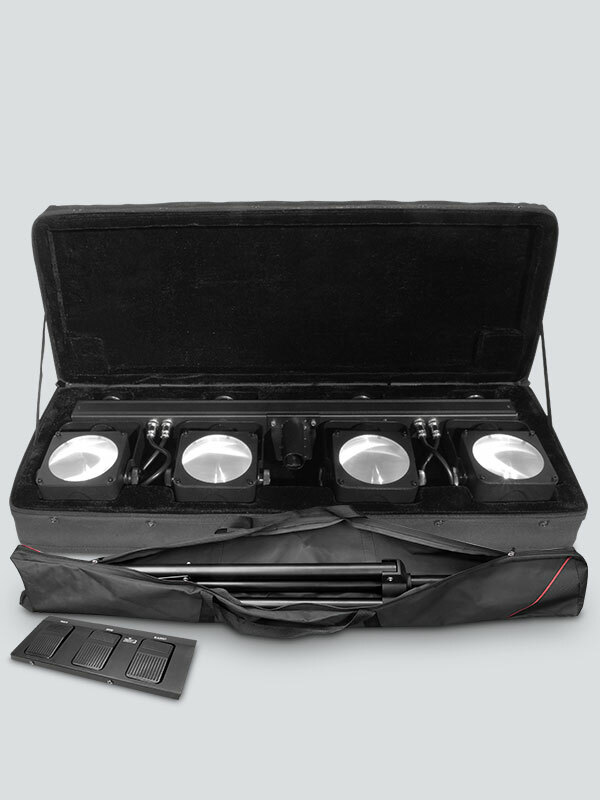 For the ultimate light show, mount up to four additional fixtures to the top of the fixture using built-in power outlets and maximize setup possibilities and configurations with two included L-brackets. 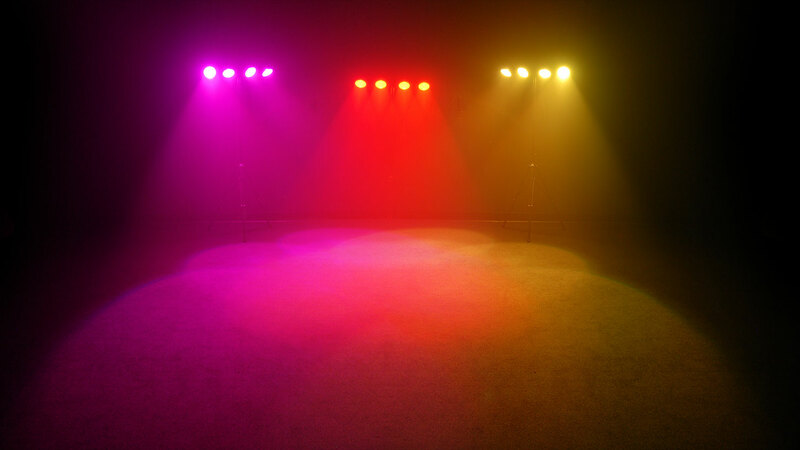 Or for large, coordinated light shows, pair COREbar 4 with other 4BAR fixtures. 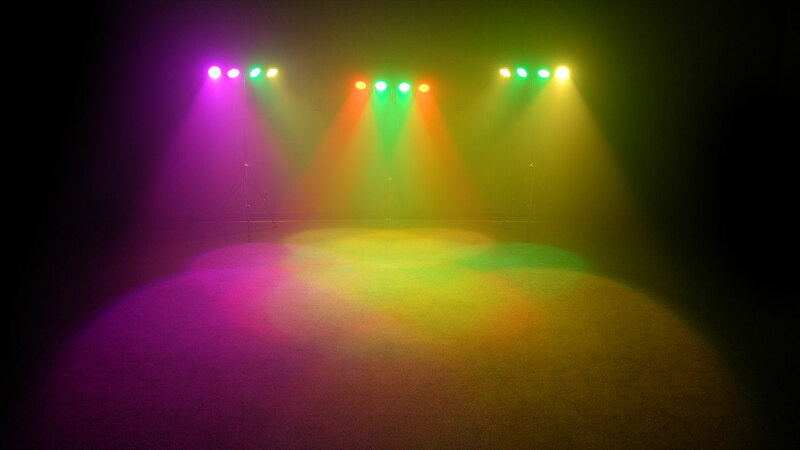 Achieve flicker-free video operation with high-frequency LED dimming and easily control the fixture using the included footswitch or standalone or DMX mode.